Ute is a classically trained Homeopath, a Reiki Master, and holds a degree in Psychology and Ethics from the University of Auckland. 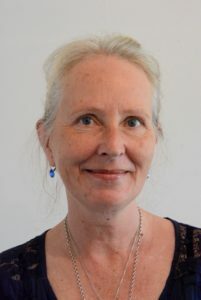 She combines her extensive knowledge absorbed from her studies and from working with clients for more than 20 years as a Homeopath and Reiki master. Ute works holistically and spiritually to help people attain insight and perspective. Her main area of expertise is emotional and metaphysical balancing. She specialises in the treatment of anxiety, depression, stress and stress-related physical health issues, as well as behavioural imbalances in children. Because Ute’s approach is holistic, she incorporates the individual’s own perspective on what is happening in their life, with an analysis of life patterns of behaviour and conditioning. She works with the perceptions of the individual that do not serve them and incorporates the client’s higher self, the karmic life lessons that are relevant for them, and the very nature of their soul to facilitate change from the heart. She is a gifted natural Empath and Emotional Intuitive. With psychic insights, she helps her clients recognise and dissolve their emotional blockages and limitations, and assists them on their path of healing transformation. Ute teaches Reiki from Beginner to Master Level and Homeopathic First Aid. She also creates beautiful gemstone bracelets which she infuses with healing light energy to support women on their path to health and wellbeing. These bracelets are for sale at Motherwell.